It can seem like a fine line between when your old, well-loved car is costing you more money than a new one would, but it’s not difficult to make the call here. A lot of it has to do with math. If it’s costing you more to hold onto your beloved car, then it may be time to replace it. The UWRENCHIT team has put together a short guide to help you determine if it’s time to replace or just repair your car. Take a look! Perhaps the biggest question you should ask is how much are you paying in repairs? Even a couple hundred dollars in regular maintenance every several months is less than any new car payment would be, even if you bought a used vehicle (assuming you didn’t pay cash on it and buy it outright). The picture gets a little murkier if your car isn’t completely paid off: if you’re still making car payments and you think that your maintenance costs are higher than another vehicle with a similar payment, you may be better off getting a new car, but you’ll lose any money you’ve already sunk into paying off your existing vehicle. If you’re looking to save some cash on regular maintenance, the best way is to start doing some of it yourself. 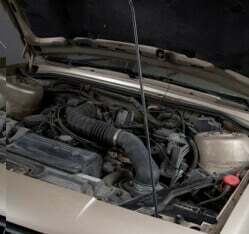 Simple things you probably pay a dealer or a mechanic for, like changing your oil, checking your fluids (and adding more when levels are low), changing spark plugs, replacing air filters, and more are all things you can easily do yourself with a little research first. For more information about our products and services at UWrenchIt, visit our home page or give us a call at (404) 805-0900. Are you a current UWrenchIt customer? Rate and share your experience with us in the review section of our Facebook page today. We always enjoy hearing from you!